Lower back Surgery - Herniated Disc surgery and recovery. Are you considering Lower back surgery? Or, perhaps you are just recovering from surgery for your low back pain. Perhaps you have exhausted all other possibilities of treating lower back pain and now have been presented with the choice of either lumbar spine surgery or suffer prolonged pain. 1. Microdiscectomy: Where the surgeon identifies the part of your disc that is out of place and pressing on the nerve. He removes this part with microscopic surgery. This means that the whole disc is not removed but only the offending part. My preference is to relocate the offending part with manual techniques, but if this is not possible, this is the least invasive disc surgery. Thankfully it is also the most common. 2. Discectomy: Where the central part of your disc is removed. Using my analysis (see herniated disc symptoms) it is the jam of the doughnut being removed! Thankfully, this is less common since microdiscectomy techniques have been discovered, but it is still used. I would like to see this type of surgery at all costs, but sometimes it is required! 3. Laminectomy: Where the lamina of your disc is removed. It is used less frequently now, as better options have been devised. It has, in the past, involved the removal of the lamina and the surrounding bone and soft tissues - which is why I dislike this type of surgery from a physiotherapists point of view. 4. Foraminotomy: Where the foramina of your vertebral canal is being compressed and you are experiencing severe nerve pain. When this surgery is required - it provides a happy release!! 5. Spinal fusion Surgery: Which is a surgical technique where they fuse two vertebrae together. This is a type of surgery that I feel can be the least damaging and most effective - again from a physiotherapist point of view. However, when one segment is moving, or positioned excessively away from the function of the other, manual therapy and exercise therapy rarely work. Seek physiotherapy opinion before you take this surgery. Spinal Surgery - Some Common Questions. Overall, I am not a fan of spinal surgery unless it is absolutely necessary. 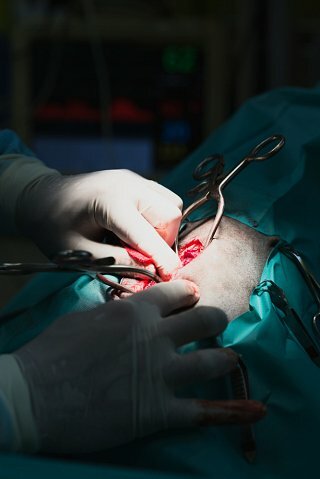 From the thousands of backs that I have treated over the past 17 years, I have only twice suggested spinal surgery; I am relieved to say that on both occasions it was a success as we had exhausted all other options. However, these are some of the questions I’m asked in my clinic. “When is spinal surgery necessary?”. My general answer is when neurological signs are not improving, or when life is not worth its value. “What are the options / alternatives to surgery?” There are options to surgery and they should all be investigated first. Seek and research qualified medical opinions, such as physiotherapists doctors and surgeons for the best advice and second opinions. Then search again! If we all agree - then surgery is your answer. However, if you have neurological signs like absent reflexes, bladder or bowel dysfunctions or numbness in your saddle area, do not wait, surgery may be the only answer. What exercises can I do to prepare for or recover from surgery? Spinal surgery conditions are always associated with postural changes. This results in an imbalance in your muscle system where some muscles become tight and overactive and others become weak and inhibited. If you have surgery these changes do not automatically correct themselves and it is of great importance to work diligently and specifically on an exercise program that addresses these changes and where possible rectifies them. You cannot do this rehabilitation by yourself. Although I advocate Pilates exercises for this I advise you to seek a chartered Physiotherapist’s/physical therapist’s advice on what exercises are suitable for you and your condition. Doing incorrect exercises can do more harm than good. In an ideal situation I like to assess my client before they undergo their surgery. This allows me to have a clear understanding of how their body has adapted to their pain and movement problems. It also allows me to advise them on gentle exercises that they can do pre-operatively to help their rehab post operatively. I like to educate my client on the role of exercise in their condition and how their rehab will proceed once the operation is done. Too often I see clients 6 months post operatively who have developed other painful problems since their surgery. This is usually due to the poor posture they developed not being addressed correctly. Please donât wait to see a therapist too long as the longer your muscles changes are there the harder it is to correct it. Early intervention is always better. People frequently tell me that they are scared of physiotherapy as they fear it will do more harm to them. The answer is it won’t! However, it is important that you see a therapist who is well-trained and experienced in post surgery rehabilitations. I recently encountered a girl called Holly who had a discectomy 6 months ago. On assessment she complained of severe lower back pain. Prior to her surgery she had severe lower back pain and sciatica. The surgery immediately got rid of her leg pain for which she was very grateful. However, her back pain was different and gradually worsening since the operation. She was obviously concerned and exhausted from her pain. Assessment suggested that scar tissue over the site that was operated on was the cause of her pain. When she moved in certain ways the movement was pulling on the scar tissue around the site of her discectomy, causing inflammation and pain. As a result of the pain she experienced with movement she was avoiding moving her lower back whenever possible, and - as a result - she had developed a very poor posture and severe muscle problems in her back and pelvis. I am using taping to unload the scar tissue and re-educating her on how to move again. With the tape her pain is controlled so she is sitting and moving better already. Once the scar has been stretched and broken down with physiotherapy I will commence her on an intensive Pilates programme which I expect that, with diligence, will result in a full recovery. The lesson here is this girl could have had six months of her rehab done if she had come to me earlier. Six months of less pain. A hard lesson learned! !